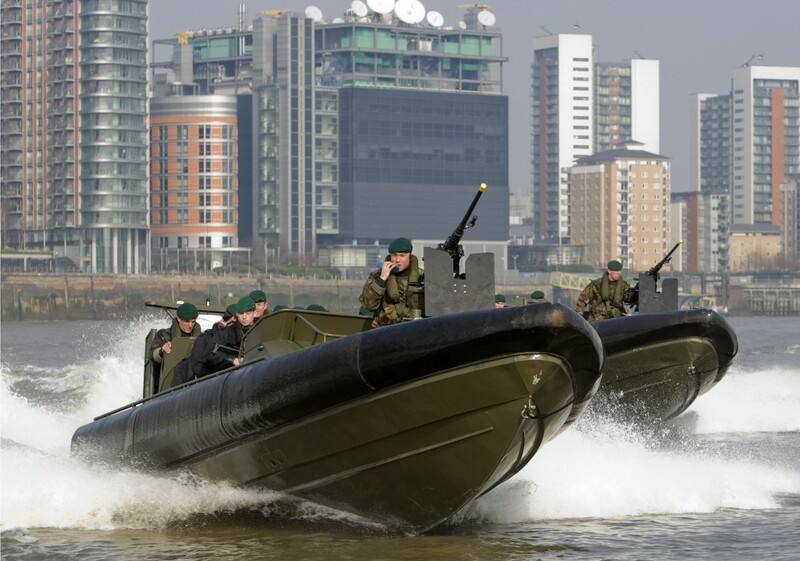 The Royal Marines from 1 Assault Group Royal Marines will be putting on a boarding operations demonstration at DSEI next week in London using our 9m Offshore Raiding Craft. The boarding op's will be done using an Aft Console Variant and there will also be a Mid Console Variant at the exhibition on the pontoons. The waterborne demonstrations are held over all four days of DSEI and take place in the Royal Victoria Dock. They are best viewed from the grandstand on the Dock Edge. The best exit to the Dock Edge is through the South East Corner of the South Hall by the Naval Theatre. Follow the orange carpet to exit. DSEI opens on Tuesday 15th September and closes on Friday 18th September. We will be in attendance at the exhibition on our stand in the south hall at S10-465.